I haven't posted on this forum for a while so here is one to enjoy. 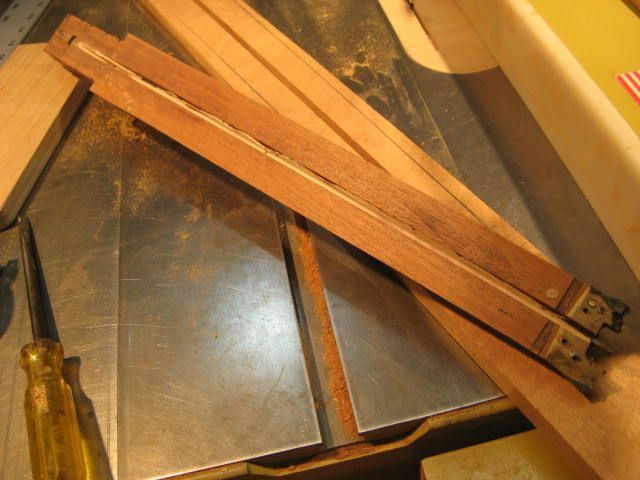 I bought this 52 guitar several years ago and in fact I was using the neck as a template to carve my necks. After stripping the finish you can see that someone used screws, nails and glue but the wood at the break is beyond repair. 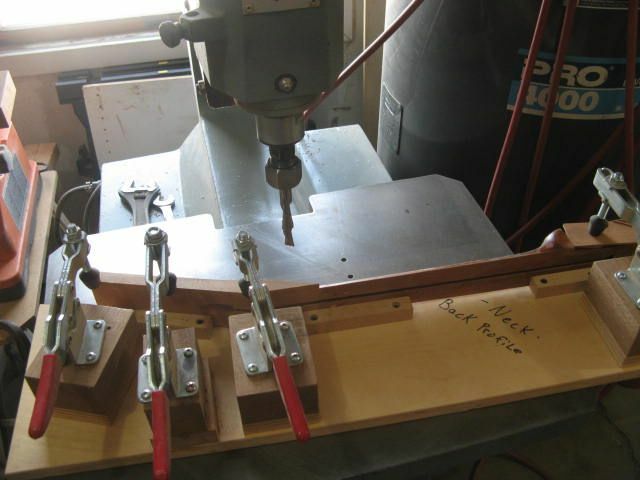 Before starting the repair I came up with a process that would allow me to use my existing templates and machining. 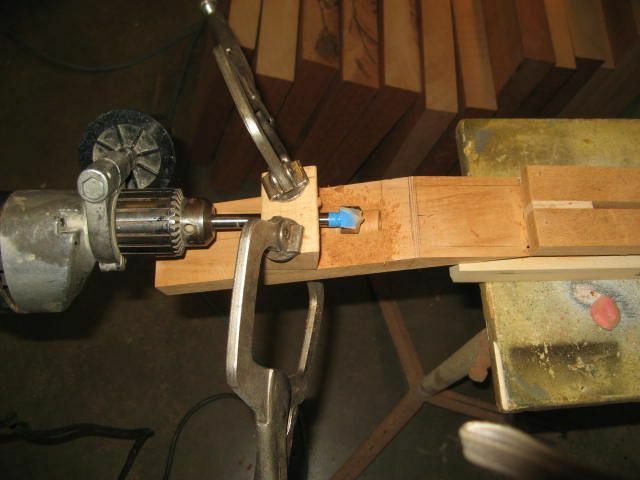 The key for this was a 2-1/4" piece of wood. I'll call it the "blank" and it has to be perfectly square and straight. 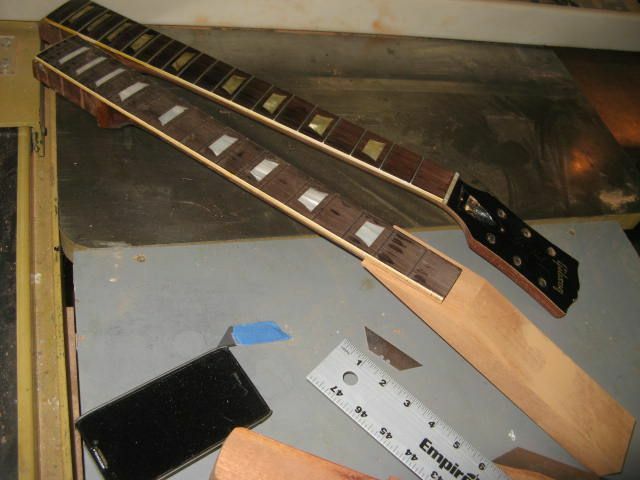 First thing is to remove the existing truss rod. 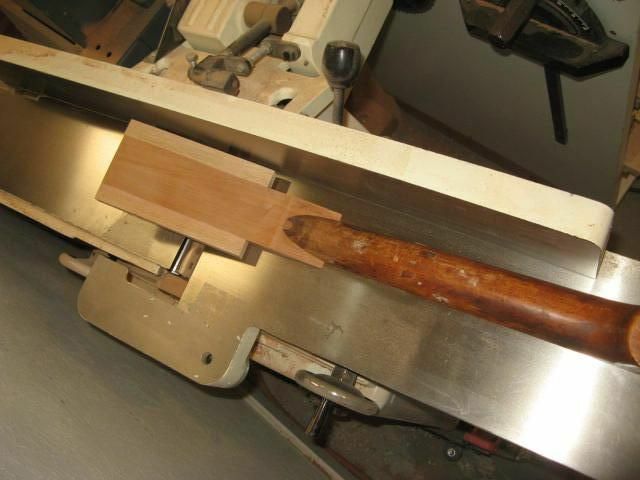 I found center line of the blank and centered a 3/16" dado going thru the blank leaving both ends of the blank solid wood. Then I took neck and fastened it to the blank with two sided tape. 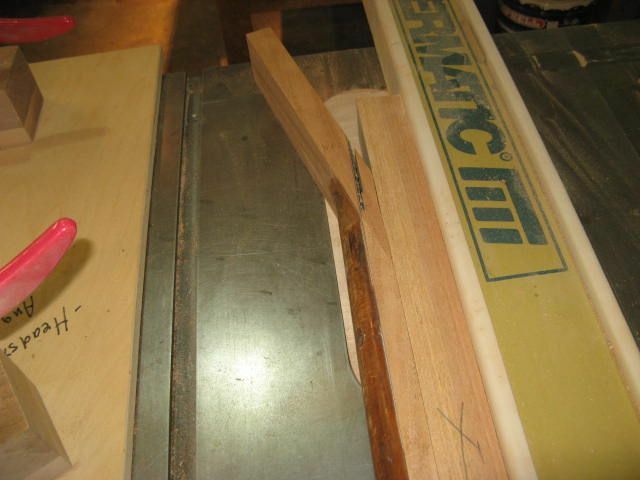 I know the depth of a 52 truss rod dado so I removed most of the maple spline with my table saw and dado. 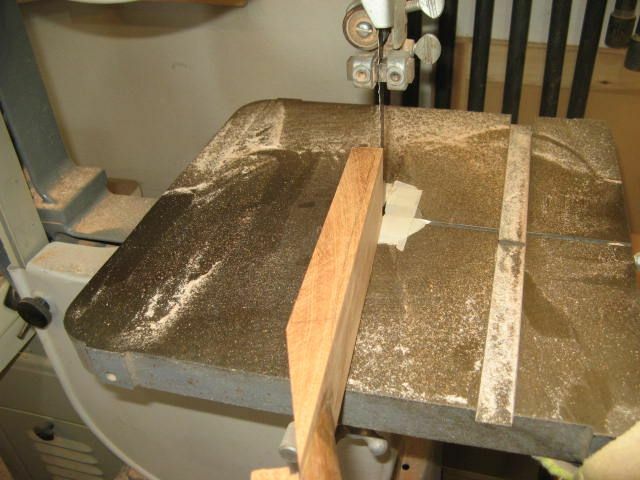 I made certain that I stopped before the truss rod anchor. With a razor blade I removed the maple by the anchor. 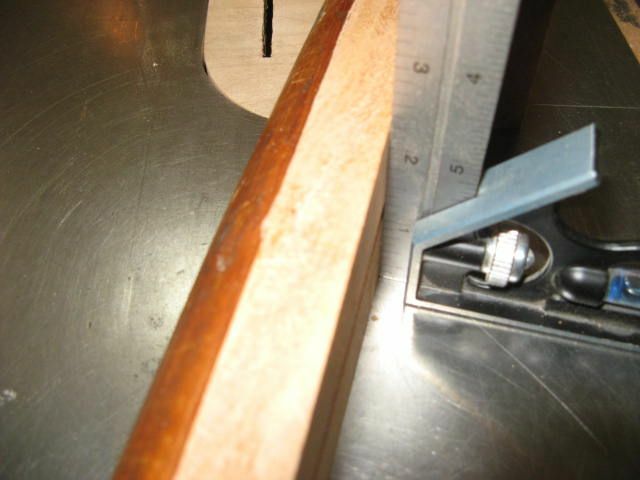 With all of the maple spline removed the truss rod came right out. Love these threads. Totally subbed. wheres the rest of the guitar? 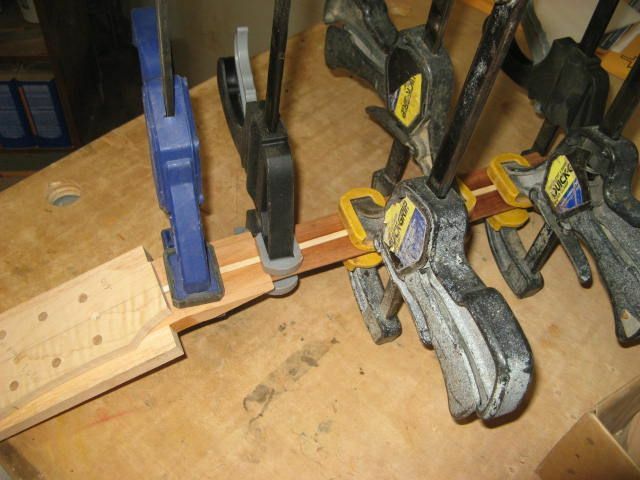 I'm going to make a new headstock and use a scarf joint which has the most surface area for gluing. 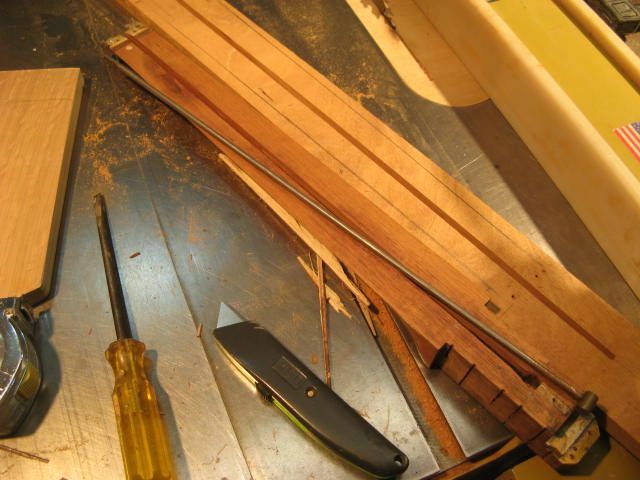 First I lay out where I want to cut the scarf joint making sure I'm past the rotted wood. 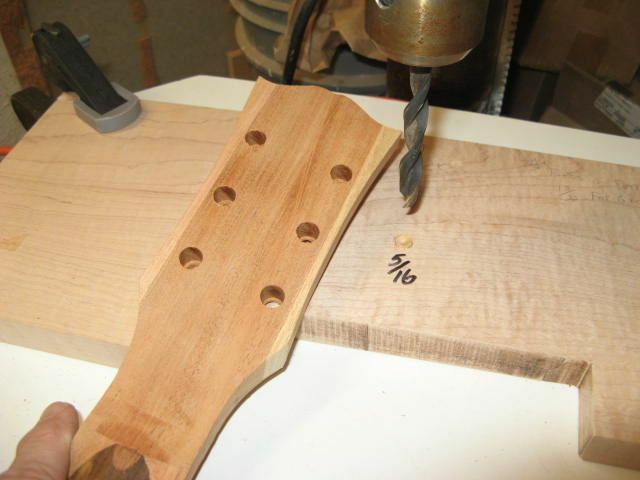 Knowing that after I make the cut the blank would collapse I glued a 3/16'" maple spline into the slot making it stick past the surface 1/8" (this will center the old neck to center line of my blank) then make the cut using my headstock angle jig. Scarf cut make and my blank is in tact for future jigs. 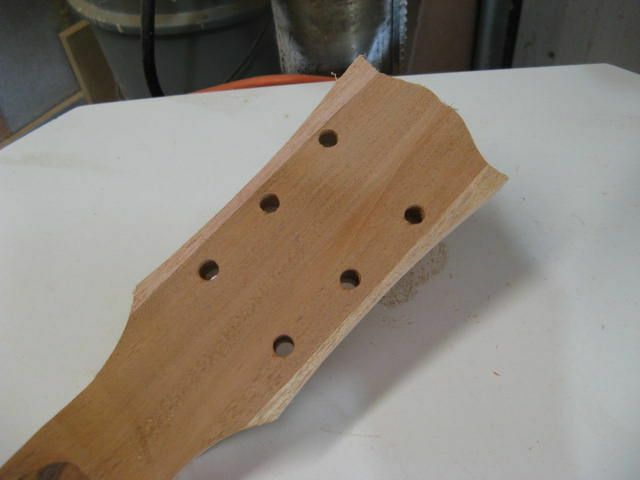 I'll use another 52 neck to see how thick my headstock blank needs to be and also lay out for rough cut to the headstock blank once it's glued to the neck. 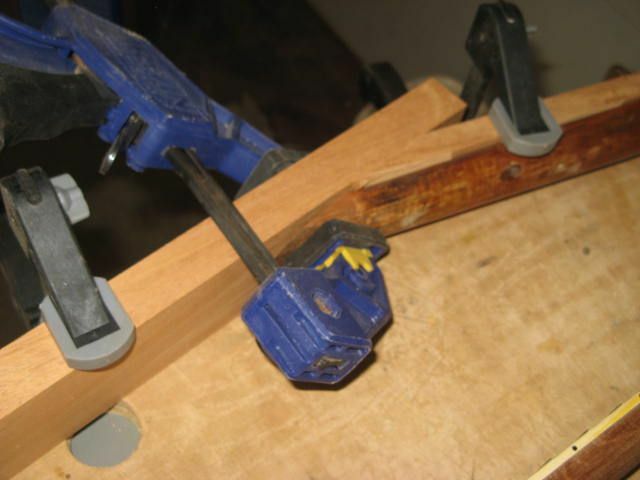 I'll do a dry clamp to see how things line up. 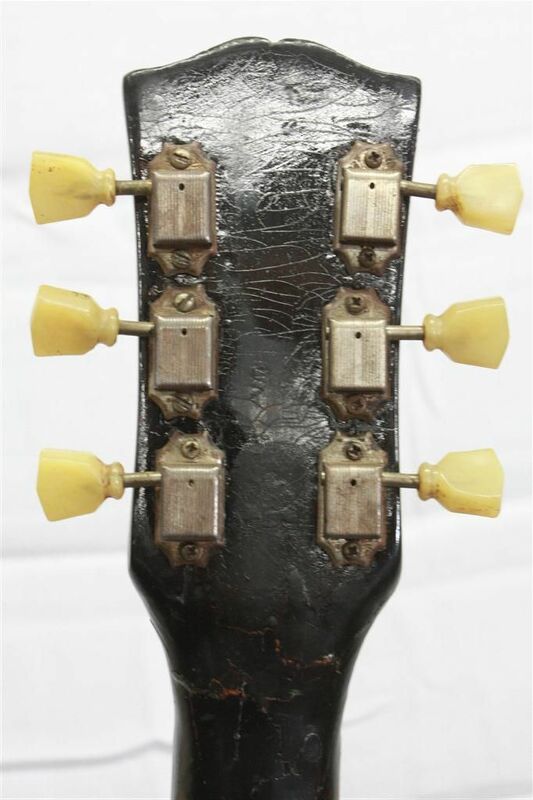 The neck is still attached to the blank. 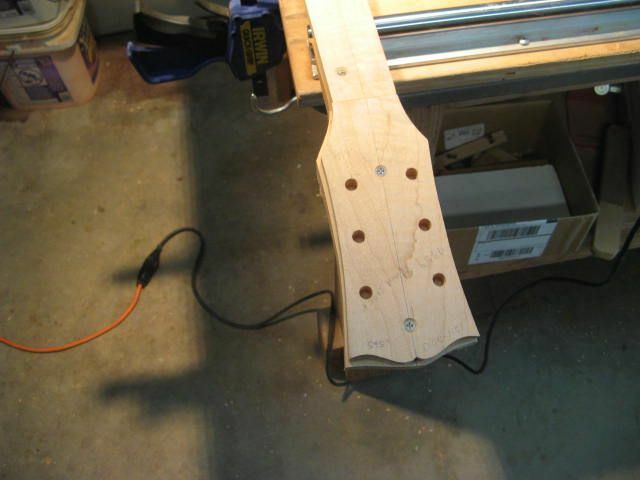 Next I'll glue the neck to the headstock blank and let it set overnight. Your work is so impressive and it always inspires me! Great job as usual Jim !!! To those not in the know, this guy is just a total monster luthier. Total. Brilliant - who thought you could enjoy learning again in your later years! 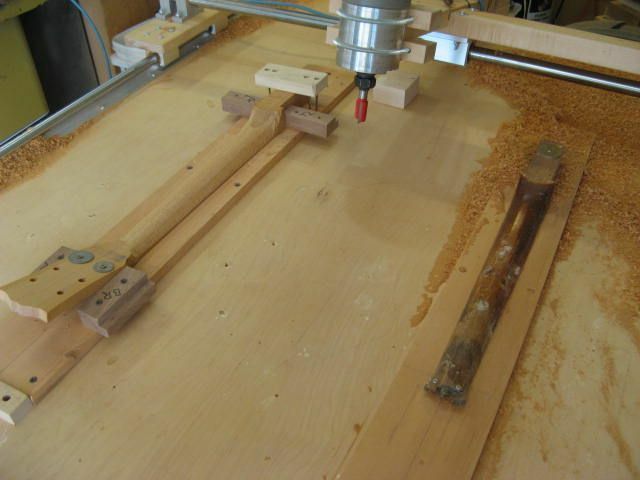 I know enough about woodworking to know what you're doing with jigs etc., but I'm many years from being able to do any of it with any appreciable skill. Very impressive work. Haven't been on here in a while. This is a great thread to come back to. 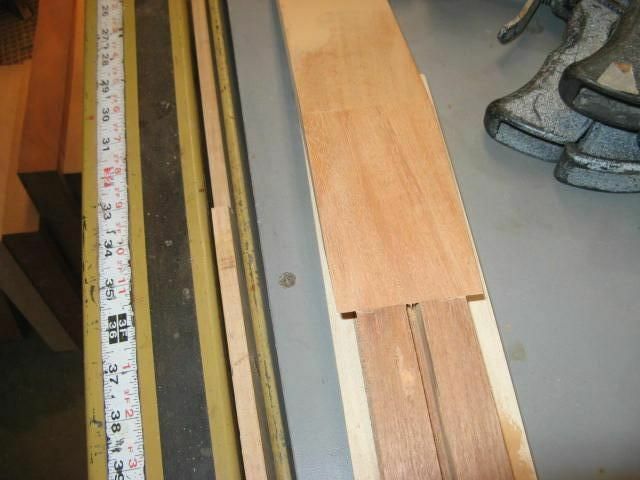 Thanks everyone Next I'll make a parallel cut and trim the excess wood on the top side using a spacer and my table saw. I'll leave the wood about 1/32" strong. 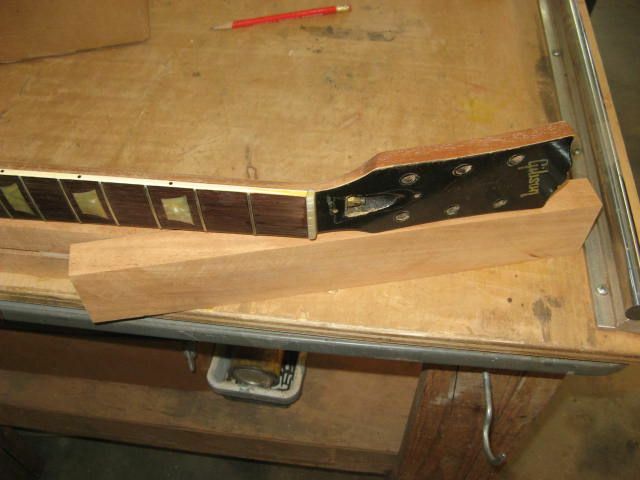 Next I'll take the fretboard and mark the length and where the angle cut needs to be for the top side of the headstock. 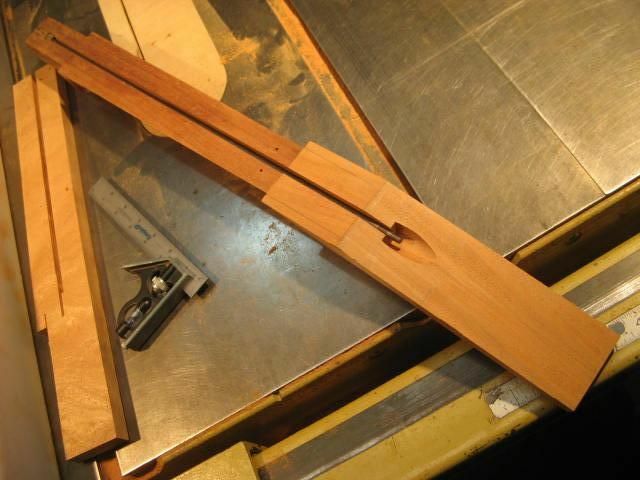 Once again I'll attach the neck to the blank so I can continue to use my jigs. 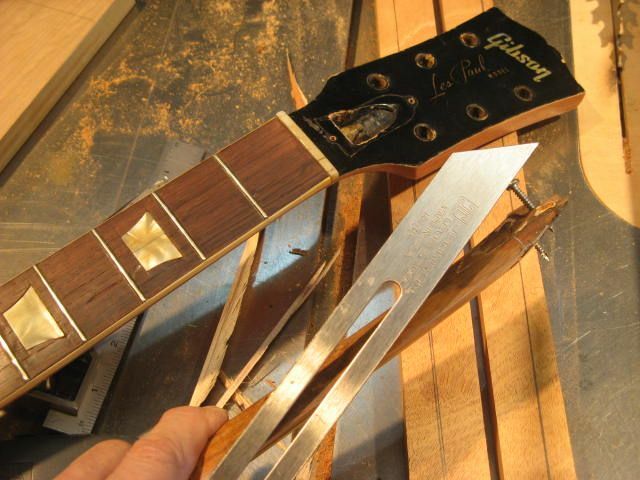 With the correct length of the neck marked I cut the angle to the top side of the headstock. 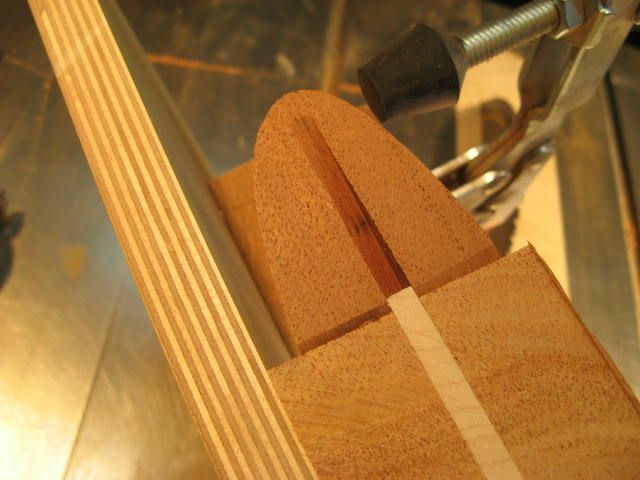 This cut is now parallel to the scarf joint since both cuts were made from the same jig. 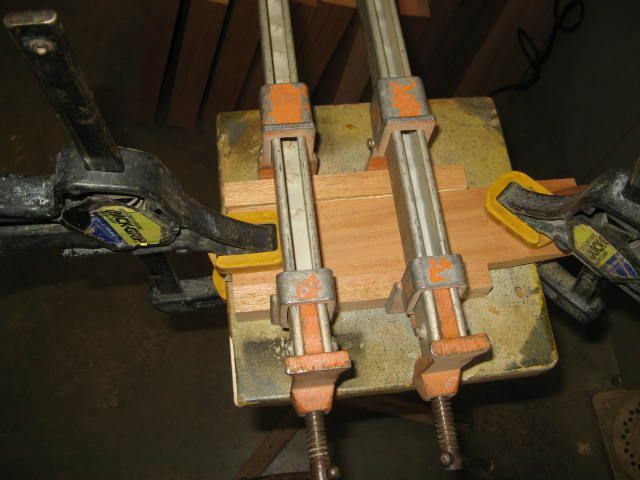 I'll make the truss rod pocket using another jig. 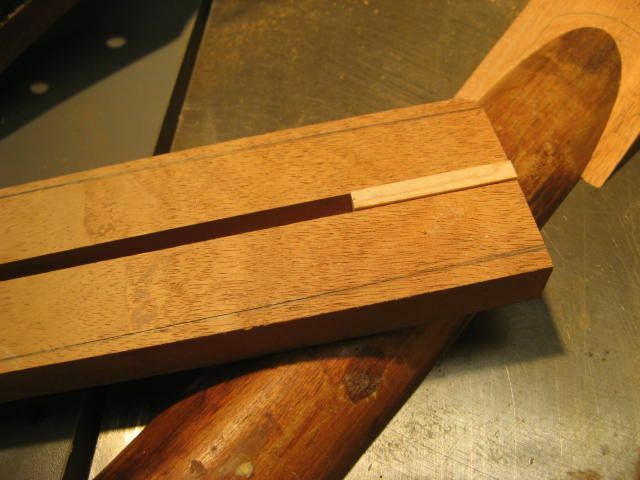 Slot for the truss rod. 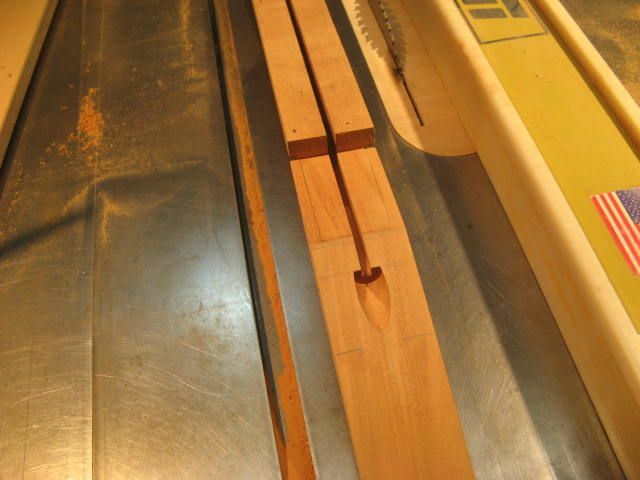 Ready for the truss rod. The old rod fits perfect. Impressive. Always fun to watch a craftsman work. I take it the '52 came without a serial number? 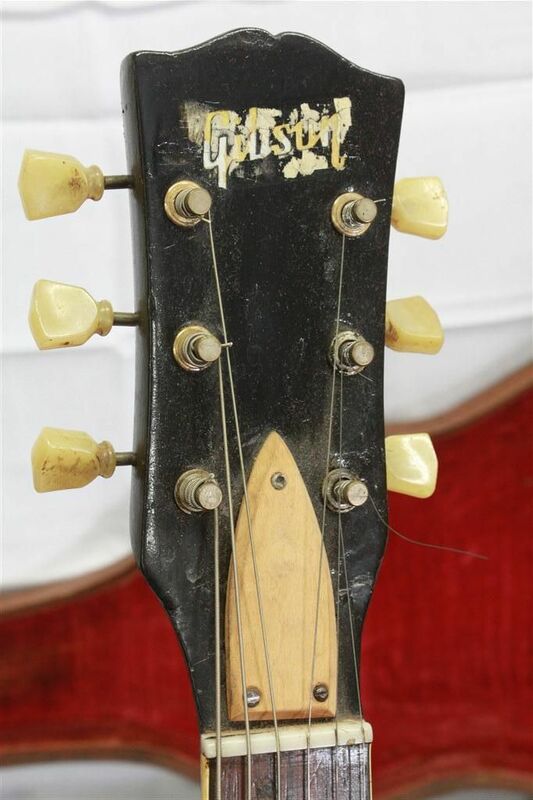 Are you reusing the Gibson logo inlays (if that's what they are)? Next up I'll work on the backside of the neck. 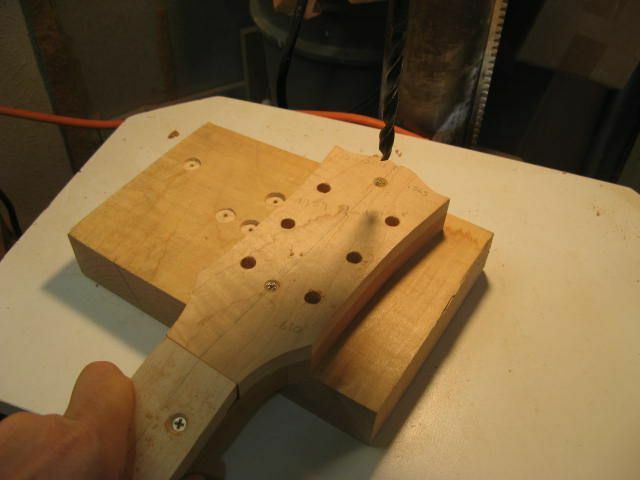 First I mark the thickness of the headstock. 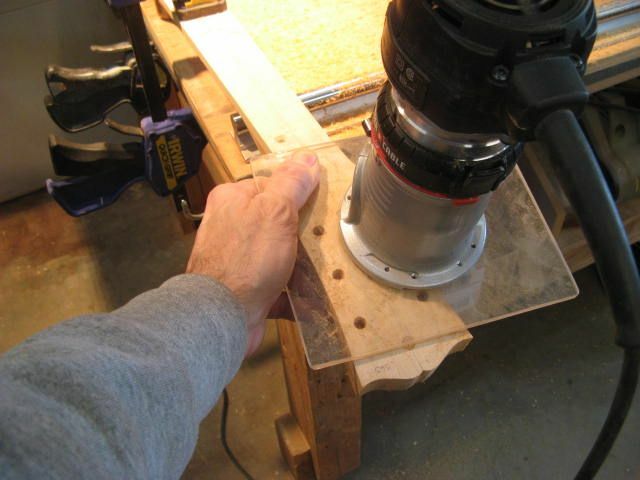 Using my band saw I make a rough cut removing most of the material. 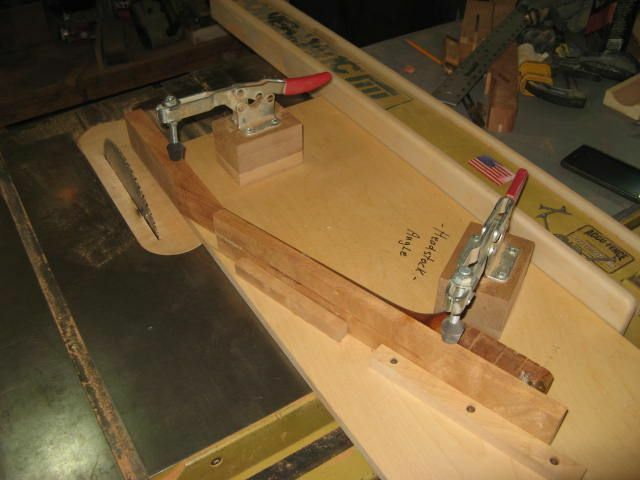 I use another jig and my overhead router to get the back profile. 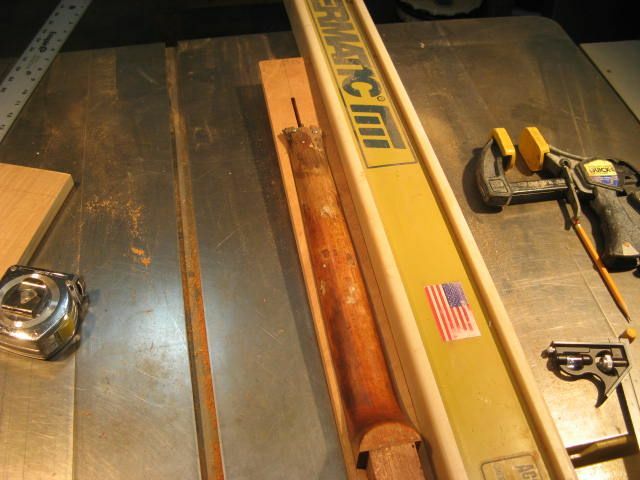 By now everyone can see how important the "blank" was to the machining process. 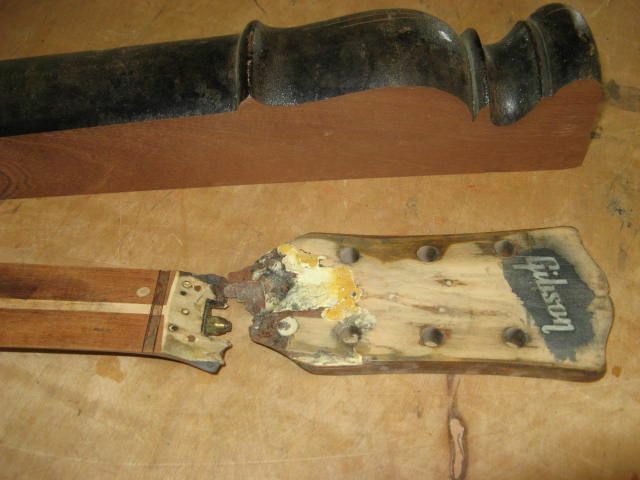 Glue on the headstock wings. 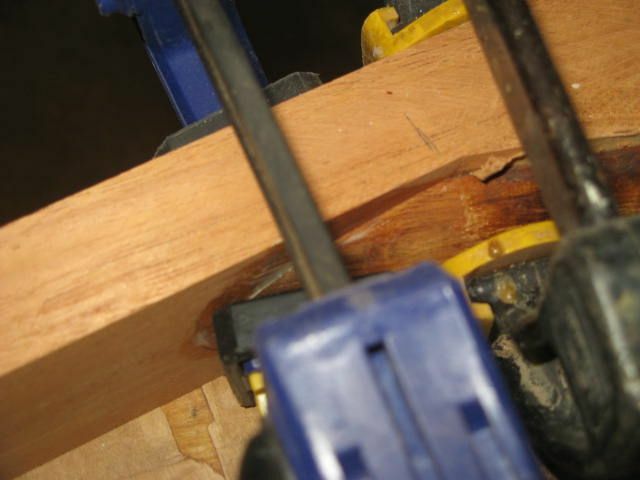 Glue in the new maple spline. 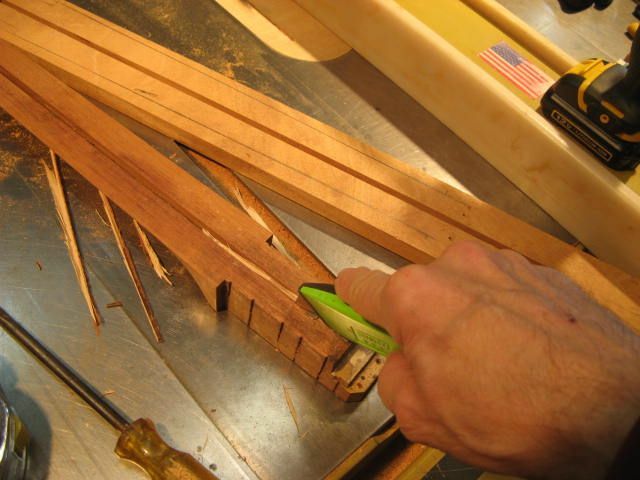 Trim the excess maple flush to the neck plane. 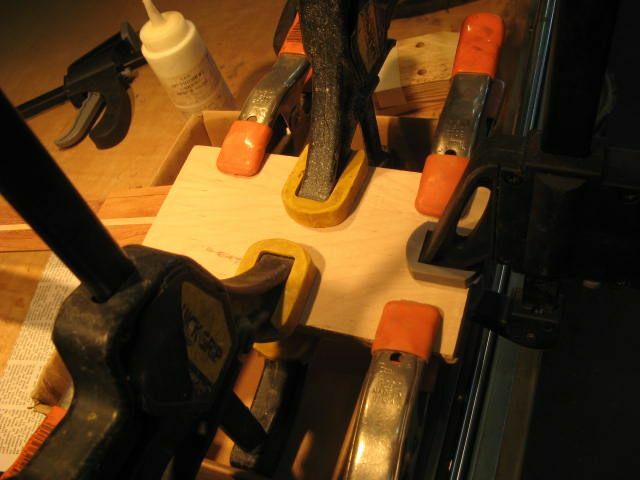 Next I'll glue on a new veneer to the headstock using a block and clamps to get even pressure. 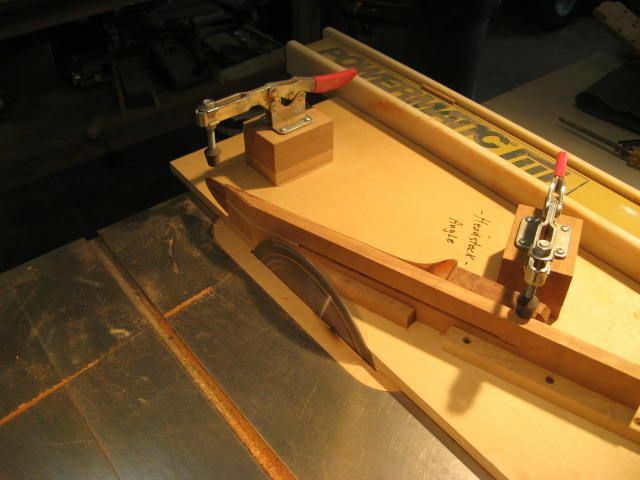 I use a white luthiers glue from LIM. It dries hard and brittle like hide glue. 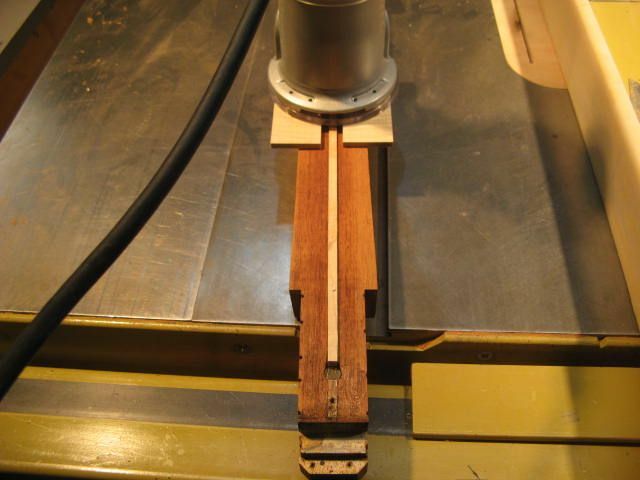 I trim off the excess wood on my bandsaw and screw a template to the headstock. 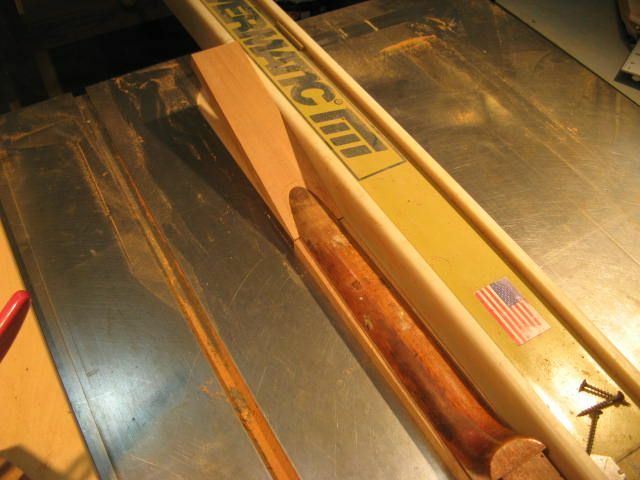 The screws are positioned so they fall inside the Gibson MOP logo and the truss rod cavity and will never bee seen. 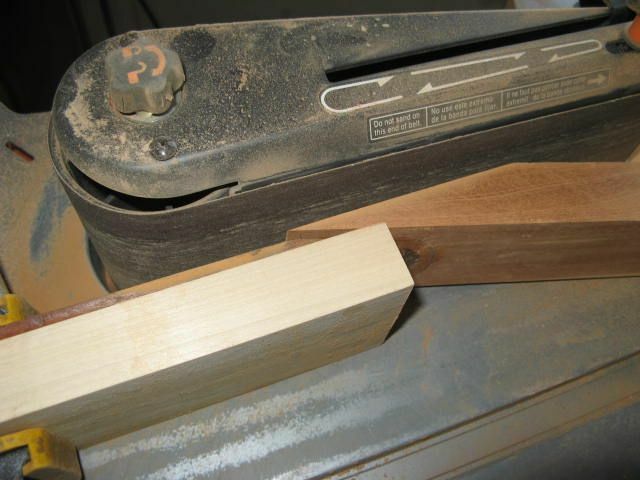 With a router and a pattern bit I do the final trim cut. 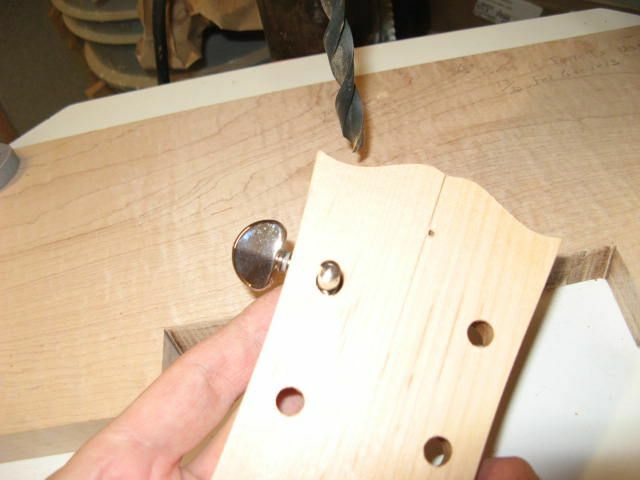 With the same pattern I drill for the tuners. 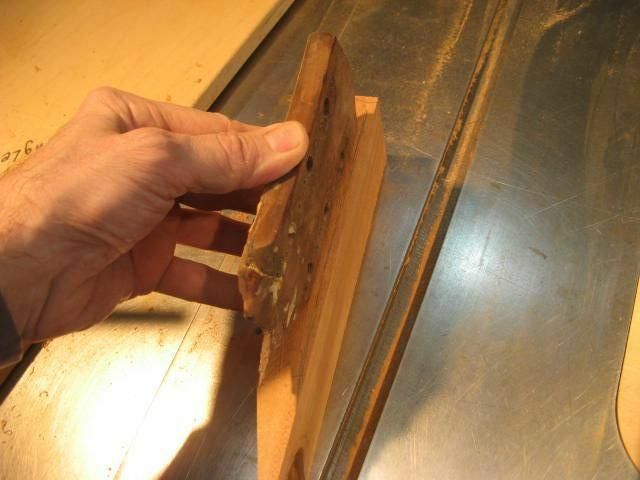 The neck is going to get Grovers so I bore out the back the depth of the housing leaving enough wood so in case I want to use Klusons the ferrules will fit. Grover tuner fits nice and snug.